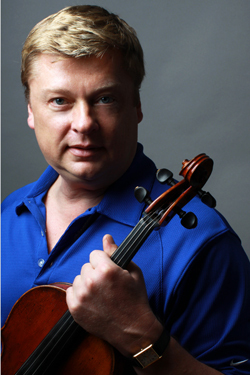 FRANK FOERSTER, Principal Violist of the New Jersey Symphony Orchestra since 1988, began his studies at the music school of Hannover, Germany, with André Gertler and Ramy Shevelov. He continued his education at the Berlin Music School with Wolfram Christ and in Gstaad, Switzerland, with Yehudi Menuhin. Foerster came to America to study with Lillian Fuchs and Karen Tuttle at The Juilliard School, where he received Master and Doctor of Musical Arts degrees. After winning numerous competitions in Europe, he became the first solo violist to win the Artists International Auditions, which led to his New York recital debut in Carnegie’s Weill Recital Hall. Foerster has performed with the Berlin Philharmonic under Herbert von Karajan and the New York Philharmonic under Leonard Bernstein. He performed Bartók’s Viola Concerto with the NJSO under the baton of Zdenek Macal. As a winner of the Aspen Concerto Competition, he performed Hindemith’s Der Schwanendreher with the Aspen Festival Orchestra. As a soloist and recitalist, Foerster has appeared in most concert halls in the metropolitan area. 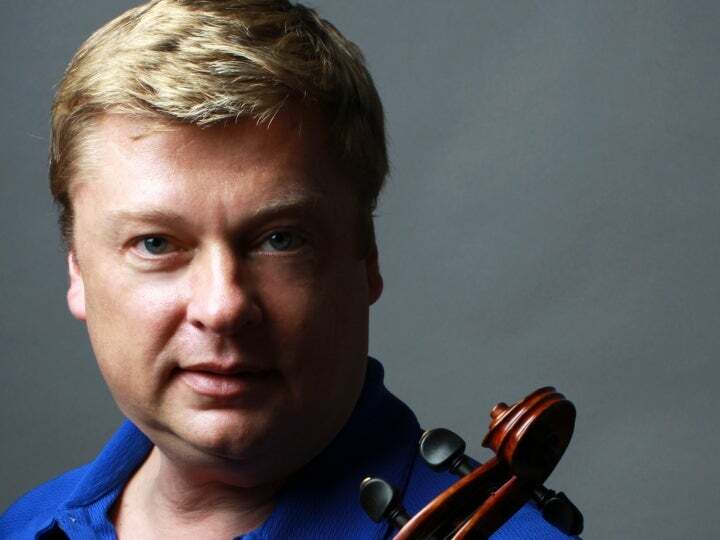 In addition to his position with the NJSO, Foerster currently serves as principal violist of New York Scandia Symphony and is the violist of the Scandia String Quartet. He is also a member of the chamber ensemble Vista Lirica and the Zanoli String Trio. He has been a member of PULSE and the Numinous Jazz Ensemble, groups dedicated to premiering and recording new works of contemporary composers. He displayed his composing talents in a recital at Manhattan’s Donnell Auditorium with pianist Colette Valentine; they performed three of Foerster’s compositions for viola and piano: Tourmaline, Moonstone and Aquamarine. He has been commissioned to write several works for New York Scandia Symphony, most notably his Scandinavian Suite for solo viola and string orchestra (2008), which music critic Andrew Ackers described as “a triumph of a composition, spirited and decidedly authentic … a haunting feast of contrasting emotions, timbres and attacks.” After hearing his Summer in Fort Tryon Park in the Victor Borge Auditorium in Manhattan, Lucid Culture critic Alan Young praised Foerster as “a first-rate composer,” and an NJSO string quartet subsequently performed the work at the 2012 Cape May Music Festival. The International Music Company of New York recently published his arrangement of Vieuxtemps’ Souvenir d’Amérique for viola and piano. In 2010, he started Beowulf Consort with singer Hanne Ladefoged-Dollase and harpist José Rodriguez. This enterprising ensemble has presented colorful and imaginative concerts at Lincoln Center, Columbia University and Newark’s Cathedral Basilica of the Sacred Heart; the trio has also performed educational programs for young people. The group has received invitations to participate in several European festivals next season. An avid educator, Foerster has created several musical fairy-tale programs for students by retelling timeless classics in an original and humorous manner and adding string quartet music to them. Some of these exciting and engaging programs have been presented through the NJSO’s education and community engagement programs; they have been very successful in bringing understanding and appreciation of classical music to the new audiences of tomorrow. Foerster’s own story “The Troll and the Dinosaur” has been presented by the New York City parks department on several occasions (complete with child actors and a full-size dinosaur puppet, created in Denmark for the occasion), including at the very popular Medieval Festival at the Cloisters in 2011. Foerster is on the faculty of New Jersey City University, teaching viola, violin and chamber music. He previously taught at the City University of New York (CUNY in the Heights) and taught orchestral repertoire at Columbia University. He has presented master classes at Lincoln Center’s La Guardia High School of the Arts and at Juilliard’s Music Advancement Program for minority students. As a guest artist, he has coached chamber music groups at the Juilliard Pre-College Division. At the convention of the American String Teachers Association (ASTA) in Jersey City in October 2011, he led a workshop designed to help students and string teachers prepare effectively for the New Jersey All-State Orchestra auditions. He has participated in numerous summer festivals as a teacher and performer, both in the United States and abroad. Recently, he joined the faculty of the Atlantic Music Festival at Colby College in Waterville, Maine, where in previous years he has taught master classes on Bach and on audition preparation, in addition to performing as soloist in Solbong Kim’s viola concerto. When did you join the NJSO? What is your educational background? I joined the NJSO in 1988. I came to America in 1984 to participate in the Aspen Music Festival. There I met the legendary violist Lillian Fuchs, who invited me to study with her at The Juilliard School. I received both my master’s and doctoral degrees there. Prior to this, I studied at the Music School in Berlin and at the Yehudi Menuhin Academy in Gstaad, Switzerland. What inspired you to become a professional musician? Was there a pivotal event? What is the most unique or interesting job you have had outside of the NJSO? While studying in Berlin, I played as a substitute with the Berlin Philharmonic, which gave me the opportunity to work under many of the world’s great conductors. To work under Leonard Bernstein in New York was another unforgettable experience. Like a chameleon, he seemed to transform himself according to the different types of music he conducted. Who are your favorite composers and why? Verdi and Sibelius. Verdi knew the human heart well; his music speaks to us with invigorating wisdom. I like the sincere passion of Sibelius’ music, the atmospheric beauty of his harmonic language and his courage to be experimental and unusual. If you were stranded on a desert island, what would you have with you? I am an avid reader. I would like to bring all those favorite books that have affected my life in a meaningful manner to read them once more. I would bring, among others, Paul Bowles’s “Sheltering Sky,” the books of Carson McCullers and Truman Capote, Eugen Herrigel’s “Zen in the Art of Archery” and Homer’s “Odyssey.” A good book is like an old friend and confidant: it feels reassuring and comforting to visit them again. As a certified yoga instructor, I started teaching yoga classes at the City University of NY in 2006. Recently, I started to do some composing; currently I am working on a piece for viola and orchestra, commissioned by New York Scandia Symphony, that is based on Scandinavian folk melodies. We will premiere it next May. If you could have dinner with any three people in history, who would they be and what would be on the menu? I would much prefer to have a nice cozy dinner with my fellow players of the NJSO. Each week we have so much to talk about: new programs, new conductors, interpretations and playing styles. There never is enough time to discuss it all! Amidst such splendid company it almost wouldn’t matter what food was being served.